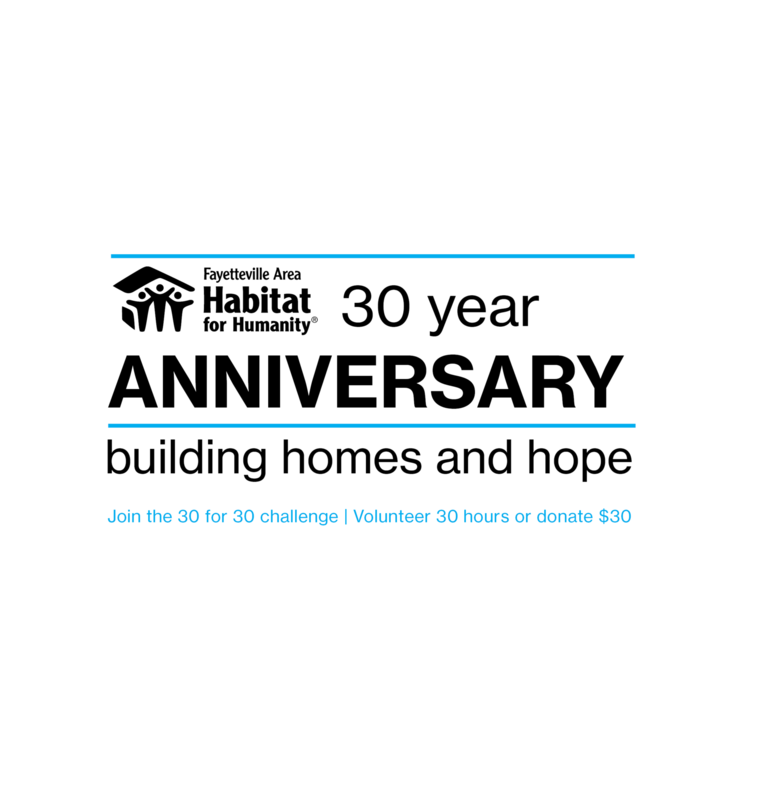 Fayetteville Area Habitat for Humanity - $30,000 for 30 Years!! Since 1988 Fayetteville Area Habitat for Humanity has been putting God's love into action by building homes, communities, and hope in our community! We have been through a lot; from Hope VI, to Old Wilmington Rd, our ReStore, B-st and Hurricane Matthew we have been so blessed by our community. Stand beside us and donate $30 for 30 years or donate a named gift in the amount of $1000! Eaton is a big supporter of local outreach communities. We promote inclusion and diversity as well as self-sufficiency. I would like to make this donation in honor of LTC Tracy Coffin's retirement from the U. S. Army and her continued service with Habitat for Humanity.